Beat the heat with a lavish historical drama! 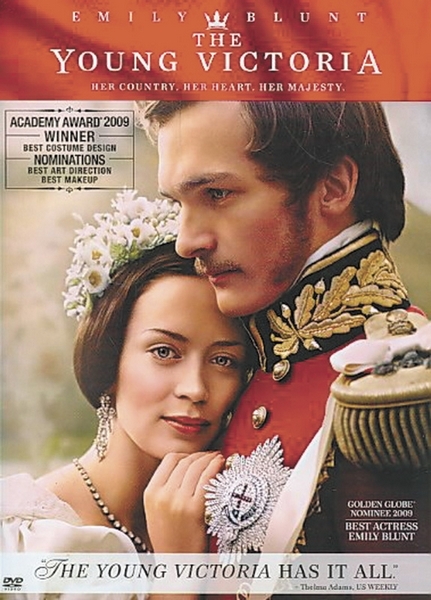 Join us at the Avon Public Library on Wednesday at 6 p.m. for a screening of "The Young Victoria" (PG), starring Golden Globe nominee Emily Blunt and Rupert Friend. Resolved to establish her authority over those who rule in her stead, a young and inexperienced Queen Victoria (Blunt) draws strength from the love of Albert (Friend), the handsome prince who has stolen her heart. Based on the courtship and early reign of Englandâs longest-serving monarch,Â "The Young Victoria" is a majestic tale of romance, intrigue and power. All film screenings are free and open to the public. Films may not be appropriate for all audiences. For more information on these upcoming shows, call the Avon Public Library at 970-949-6797.